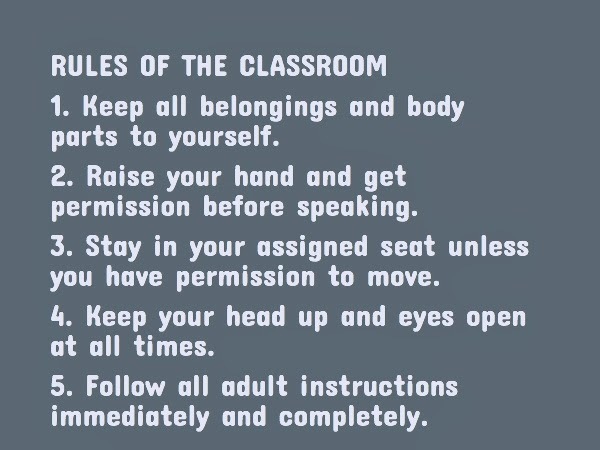 Our five common rules for every classroom communicate our expectations for every student's behavior. These are the behaviors we need in order to ensure positive, productive classrooms in which all children can participate without fear or chaos, and in which all students can learn. So what happens when students do not obey the rules established to help everyone be successful? As a teacher in a high-needs school without a school-wide discipline system, I wanted to figure out a series of consequences that started out with a mild reminder but could progress to an office referral. I was not one of those teachers who seem to have magic powers, who never need to use an office referral, yet their students are orderly and mostly silent. But I definitely did not want to be one of those teachers who sends kids out for every incident. I needed some consequences that I was in charge of, at the classroom level, so my students would be accountable to me, not to my administrator. I once substituted under a building principal who required teachers to take nearly a dozen steps, all documented, before they could write an office referral. Any teacher will tell you that there are certain behaviors for which an office referral should be invoked immediately. And most teachers know that twelve actions for even one repeatedly disruptive student will take all of your time and attention away from teaching, which will result in even more student misconduct. I really thought that talking to students about their behavior three times in one class period was plenty, but, just to be sure I didn't overreact, I added another step before I sent a student to the office. Step One: The first time I had to talk to a student about a rule infraction, I simply gave a warning, a clear request to either start doing something or to stop doing something in order to comply with classroom expectations. Step Two: The second time I had to talk to a student about a rule infraction in one class period, I assigned him or her to write 25 sentences. In our school now, we call a parent for step two. I do not expect my teachers to drop everything and call a parent in the middle of class. They make a note of the student's behavior and call before the next day's class. A principal friend of mine decided to use a change in seating (within the classroom) for the student's second infraction. I wish I had thought of that. Step Three: The third time I had to talk to a student about a rule infraction in one class period, I issued a detention, for "today or tomorrow." Since we must call parents when we keep kids after school, this step combines the phone call with the detention. Read How I Came to Love Detentions to learn how effective detentions can be for mediating behavior problems. Step Four: The fourth time I had to talk to a student about a rule infraction in one class period, I sent him to the office with his referral, on which I wrote, "Reached step 4 in one class period, for talking and playing." Because my school did not have a school-wide discipline system, I went to the assistant principal in charge of student discipline and showed him my plan for classroom discipline. I described my first three actions and asked if a student's fourth infraction could result in an office referral. He agreed that that was reasonable. I asked what consequence he would assign for the fourth infraction. He thought the student should serve a day of in-school suspension. I asked if he would make sure that the student understood he still had to serve my detention for step three. I was hoping my repeat offenders would learn to stop misbehaving at an earlier step if they knew they would have to serve the detention even if they went to the office on referral. My administrator agreed to my plan. 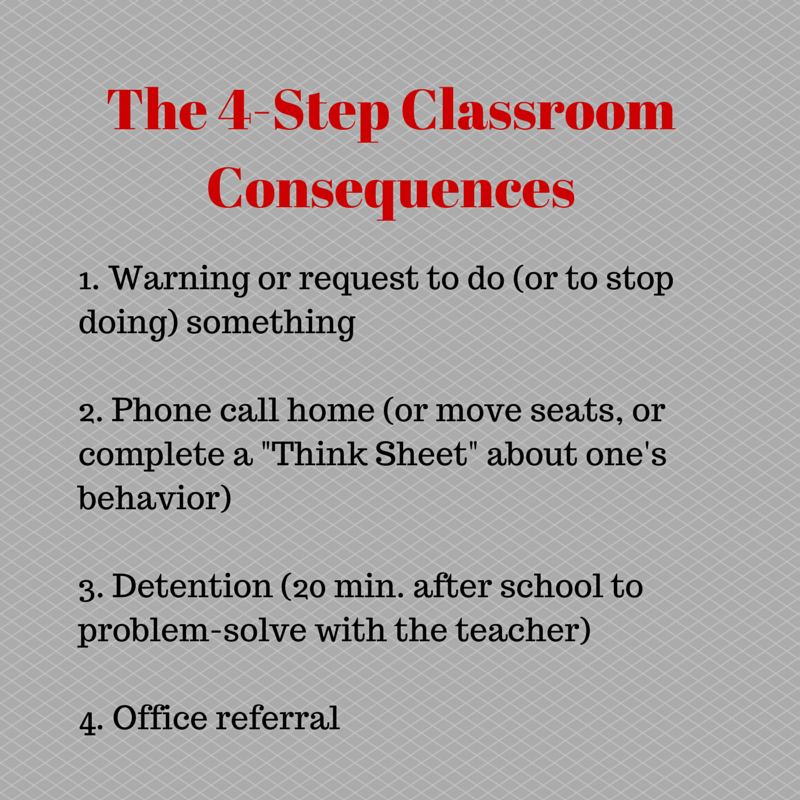 Many of my most incorrigible students did learn to stop disruptive behavior after a warning. Eventually, I could raise one eyebrow (a feature of my Teacher Look) and kids would calm down and get in order. Of course, I had to make believers of my students over several weeks of fair and consistent implementation of my system before I could begin to enjoy any shortcuts. As we began to embed these rules and consequences in our school, the feedback from most of my teachers was, "This system works as long as I work the system." That's the challenge. 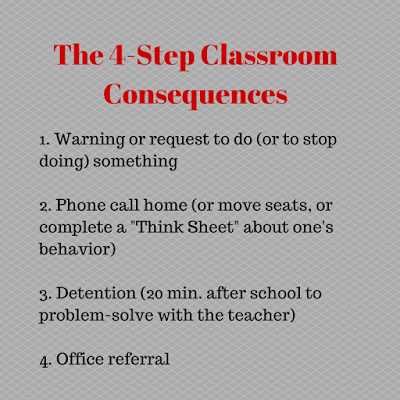 No written or posted rule or threat of consequences will influence or control student behavior. 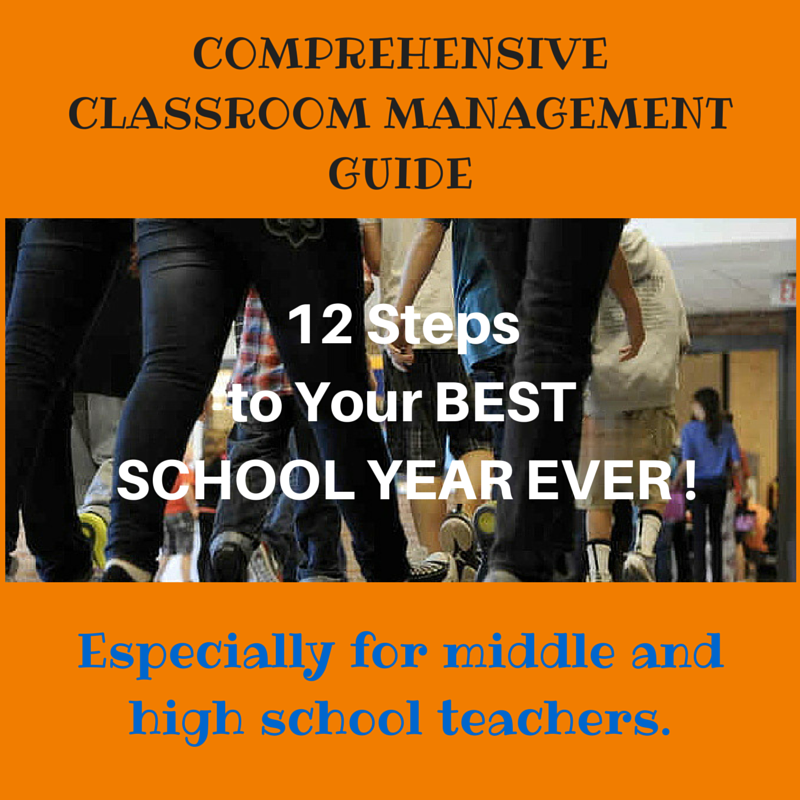 Only the teacher's consistent, unemotional implementation of the system will work. Work the system, and the system works.